The Museum-House Anastácio Gonçalves offers art works and some of its collection to be played and perceived by people with visual impairments. 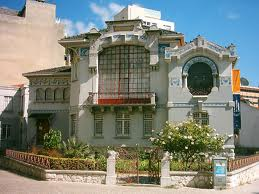 Located at 5 October Avenue, in Lisbon, The Musem-House Anastácio Goncalves was designed by architect Norte Junior, dated 1904-05. 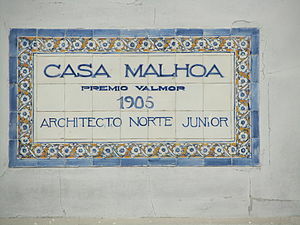 This building was built by the Portuguese painter José Malhoa, who wanted to make his dwelling house and studio. In 1905 the project won the Valmor. Throughout the house are present style neoromantic, “home at portuguese style” and the Art Nouveau style which is exemplary in the last city in the Portuguese capital. In 1932, the ophthalmologist Anastacio Gonçalves bought to José Malhoa the house. It was here that the Portuguese doctor lives and organized their collections of artworks till the year of his death in 1969. In will donate the building and its filling for “recreation and culture of the Portuguese people”. After some rehabilitation work Anastácio Gonçalves Museu-House, also known as Casa-Malhoa reopens to the public in 1980. Over the years Dr. Anastacio Goncalves collected works of art and various styles. In the field of painting are evident to the public picture of Portuguese painters, oil paintings, watercolors and drawings from the nineteenth and twentieth centuries. 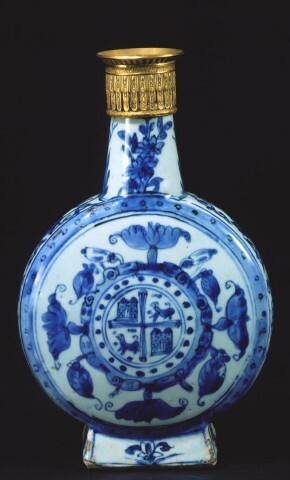 The porcelain also deserved consideration by the collector. Chinese porcelains from (twelveth and nineteenth centuries) from the commercial exchanges between Portugal and China. The public can also enjoy a collection of furniture pieces dated from the XVII and XIX. In the collection of furniture pieces should be highlighted in Taba and golden hardwoods like “pau santo”. Anastácio Gonçalves had always cared about others. It is no coincidence that in 1914 started a specialization in ophthalmology. This decision had to do with a blindness that his sister contracted with 4 years of age.Works of art accessible to blindThe leadership of the Museum-House decided to make accessible to blind people paintings, textiles and porcelain pieces of furniture so that it can better capture specific audience this collection.